Sleep is directly related to our productivity. A recent report from the CDC highlights the growing unease because of sleep-related issues ranging from fatal accidents, increased cases of sleep apnea, obesity, and most importantly, the billions lost due to poor economic productivity. 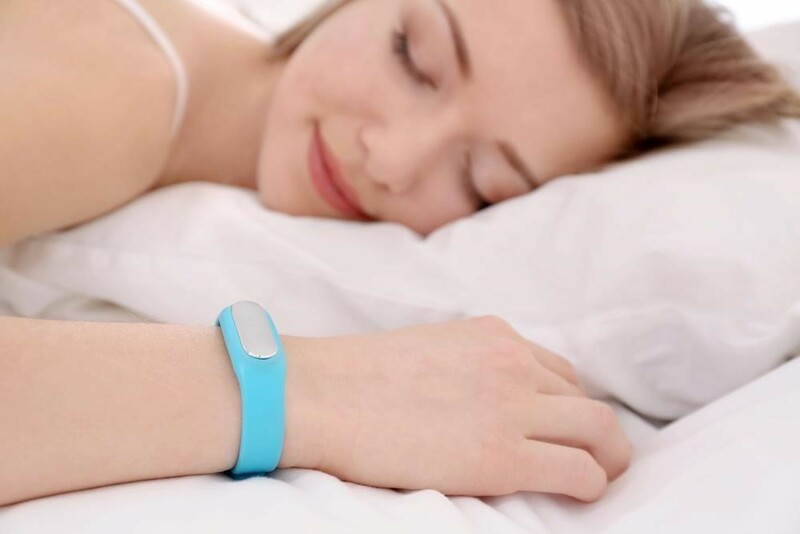 Some companies have gone so far as to issue their employees with sleep tracking gadgets so as to help them understand their sleeping patterns better. As one of the three pillars of health, sleep needs to be monitored in the same way you track your workout and eating habits. Tracking sleep is now not an issue thanks to the ever innovative technological sector. With sleep trackers, you can know how long you slept every night, how long it takes for you to fall asleep, whether you sleep peacefully or restlessly, and even the amount of hours you spend in profound and light sleep. With all that knowledge, you can be able to figure out the best time to go to bed so that you get the right amount of sleep required to ensure you remain productive at work. Even better, if you have problems getting better or deeper sleep, try a handheld personal massager before going to bed. It not only relieves muscle pain but also boosts your mind and body thereby increasing your productivity as well. A handheld massager will also help reduce stress and high blood pressure guaranteeing you a night of good, uninterrupted, and deep sleep. Your energy levels, performance, thinking, creativity, and even alertness are all defined by the amount of sleep we get every night. All these are directly connected to productivity. While the average amount of sleep an adult is supposed to get remains six hours, the ideal amount of time one should spend in bed is 8 hours. This means the ideology that 10:00 P.M is so early to sleep if you have a 6:30 A.M alarm is doing you more harm than good. How do sleep trackers help improve productivity? Companies are competing at the moment to see who can come up with the most comfortable yet effective sleep tracker. This competition has led to upgrades in some of the measuring tools such as the accelerometer, which helps measure your heart rate and rhythm, muscle activity, brain waves, light/deep sleep duration, and most importantly your REM (Rapid Eye Movement). Rapid Eye Movement sleep occurs when your brain stores information into the long-term memory. This process often referred to as sleep spindles involves rapid bursts of brain waves, and it happens towards the end of the night. However, it doesn’t always happen every night, only in the 6th to 8th hours of your sleep. Sleep spindles recorded on your sleep tracker are all the information you need if you wish to have productive days and better sleep. It is during this time that your brain replenishes neurotransmitters. Neurotransmitters or chemical messengers as they are often termed are responsible for neurotransmission. During REM sleep, they organize the networks necessary for learning, remembering, problem-solving, and memory. Also, it is during this time that the brain turns short-term memories stored in your motor cortex into long-term memories by transferring them to the temporal lobe. To explain this further, imagine deciding to take extra guitar classes on a Wednesday to improve your skills before the next gig say on Saturday. However, even after noticing progress and sleeping for the usual six hours every night, you end up not playing better than you did before you added the extra classes. The reason for this is because the information didn’t get to the long-term memory so that new style of play does not automatically become second nature. Sleep trackers relay information that makes you further add to your mindfulness, which is vital for productivity. There is no way you will stay up late until midnight or even one o’clock at night yet you have a deadline to beat at work and kids to prepare and take to school in the morning. Knowing about your sleep patterns will help you arrange the rest of your day in a way that favors your sleeping time. Ultimately, you will find yourself living a more balanced and complete life as opposed to when you sleep randomly and go about your business. Getting enough sleep is no longer all that is required to guarantee productivity during the day. Lately, the secret lies in sleep trackers. These gadgets are not only responsible for tracking your sleeping patterns but also help ensure that your health remains at an optimum state while helping boost your memory and attention spans.